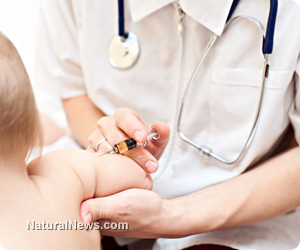 (NaturalNews) The medical establishment continues to credit the smallpox and polio vaccines for eliminating these diseases. Both vaccines were in fact failures. The National Institutes of Health's funding of nine Vaccine and Treatment Evaluation Units, with an annual budget of $135 million, provides evidence of continued vaccine growth based on the vaccine myth. Vaccine data demonstrates that vaccines are dangerous. The media and pharmaceutical companies help maintain the vaccine myth with false reporting and bogus vaccine safety studies. Edward Jenner is given "credit" by many as being the first to experiment with smallpox vaccinations. He experimented with an eight-year-old boy named James Phipps on May 14, 1775, by injecting cowpox pus into his skin and later repeated this procedure with several other children. Jenner claimed that this procedure prevented smallpox and convinced George lll that his vaccine would eliminate the disease. King George awarded Jenner the equivalent of half a million dollars to inoculate the public against smallpox.